Let’s talk about lavender. It is one of our most overlooked and versatile of all herbs. It is easy to grow, though it does take some patience. It can be used to add flavor to food or to dry and fill little cloth bags, called sachets, that are used to add fragrance to dresser drawers and closets. It is a base for many perfumes and lavender soaps. But before we get into it, I need to digress and write a few words about our beloved Finger Lakes Lavender Festival on Skaneateles Lake. It will not happen this year. Karen Lockwood held that wonderful event on her property for the last 10 years. What began as a small gathering of folks picking bouquets of lavender grew to hundreds of people visiting, which required opening a huge field across the street for parking and hiring people to direct the traffic. The preparations included getting enough product ready to sell, and the very time-consuming task of signing up a whole lot of craftspeople and artists to fill the selling booths. It was a lot of work and the results were a wonderful day for everyone. Yes, I enjoyed the festival every year. I am not upset with Karen and all the people who helped her put it all together for cancelling. I certainly wish that the festival would continue, but I am grateful to her for her efforts, and for the 10 wonderful Sunday afternoons I spent at the Lockwood Lavender Farm, chatting and visiting and picking enough bunches of lavender to assure that my closets and dressers would smell good for months to come. Thank you, Karen. By the way, Karen does say that U-pick bouquets will be available on Saturdays, Sundays and Mondays during July. Her little lavender shop will also be open. Give her a call at (315) 685-5369. Let us get back to lavender. This member of the mint family of plants is comprised of more than 40 different species, though two types, the English and the French, dominate. The latter, although a perennial, will not tolerate our winters and is not found much north of Virginia, which is plant zone No. 7. On the other hand, English lavender thrives in our area and even north of us. We are in plant zone No. 5. If you are thinking of growing a few of them, don’t try it from seed because germination is erratic and takes as long as 90 days. Better to invest a few dollars and buy seedlings. They like a dry, well-drained soil and lots of sand and/or gravel, and do best in neutral acidity, not too acid nor too alkaline. Sure you need to fertilize them, but lightly, please. They thrive in a sunny location. But they do like a lot of water, so long as the roots are not sitting in it. They hate wet feet. Yes, there are a number of culinary uses, but a light touch is advised. There’s nothing worse than enjoying Aunt Jane’s poundcake and then having an aftertaste of soap. Used judiciously, a few dried buds of lavender will highlight the flavors in many a dessert. Most of the value of lavender is from the use of lavender oil in perfumes and soaps, but to me, personally, I love picking a big bunch of the flowers, and putting them into vases in the bathrooms and bedroom of the house. They give off a lot of fragrance as they dry, and that fragrance lasts for months. As with most herbs and aromatic plants, there are hundreds of hints on the internet about the value of lavender. Most, I am sure, have worked at one time or another or for one person or another. You make your choices. 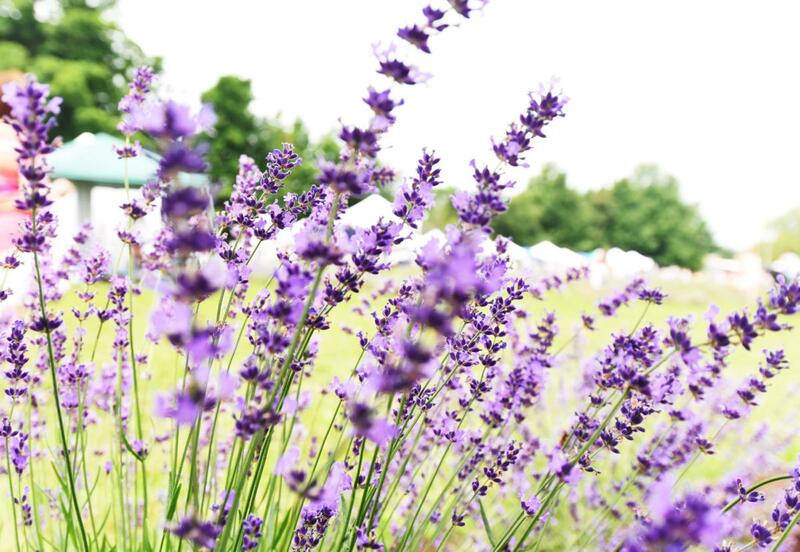 A final note: There will be a Lavender Festival in Red Creek on July 14 and 15. Really, it is not that far away. The address is 12973 Upton Road in Red Creek. This entry was posted in Bouquets, Florist, Flowers, Plants and tagged Auburn NY, Cosentino Florist, flowers, horticultural, Plants. Bookmark the permalink.